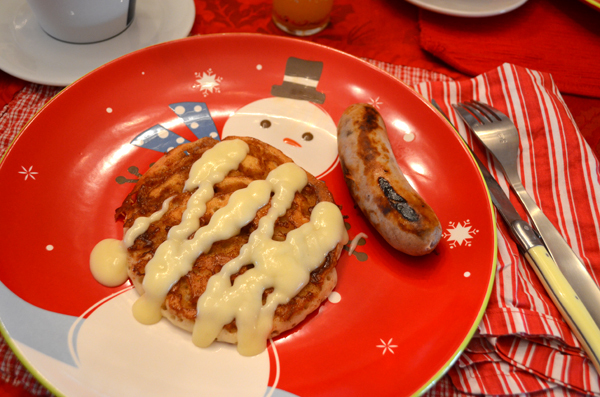 This morning we had Christmas brunch and giftie exchange with our peeps. 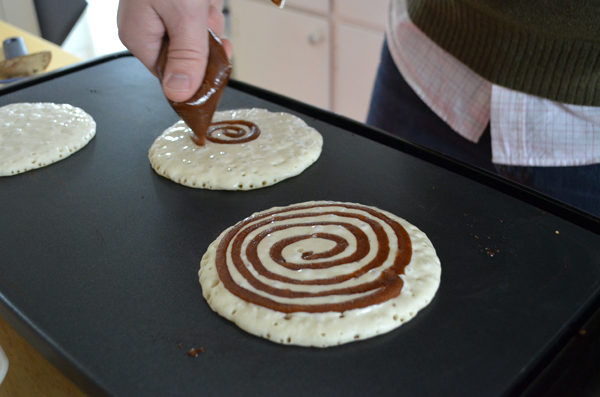 We made these amazing cinnamon roll pancakes. Add on the cream cheese topping and they are wow... just wow. 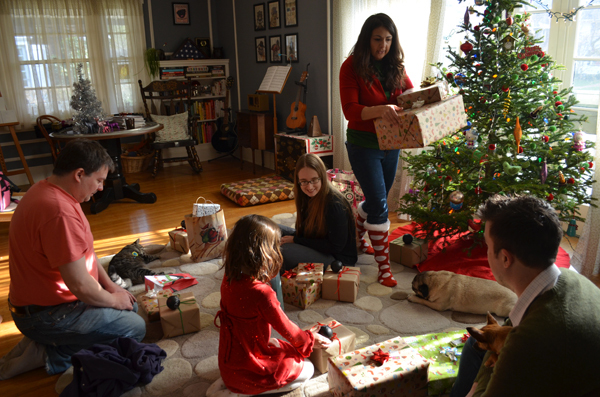 Everyone gathered for exchanging gifties. Lots of handmade this year... love that. 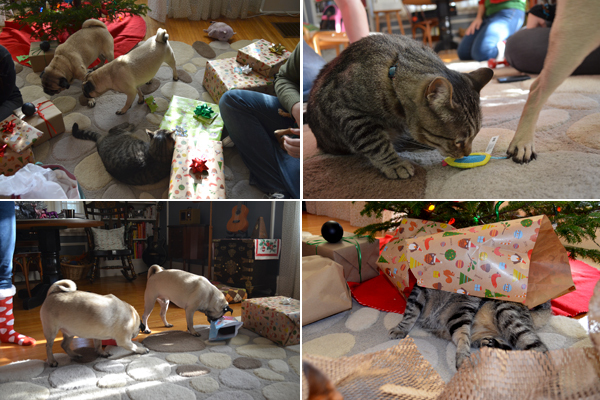 The critters had a good Christmas too. 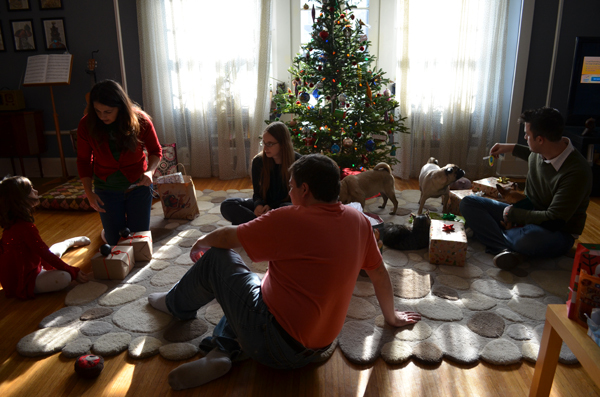 Pugs know how to open presents on their own now. Stewie totally got under that wrapping paper himself. Like a kid that like the box the gift came in, more than the gift itself. 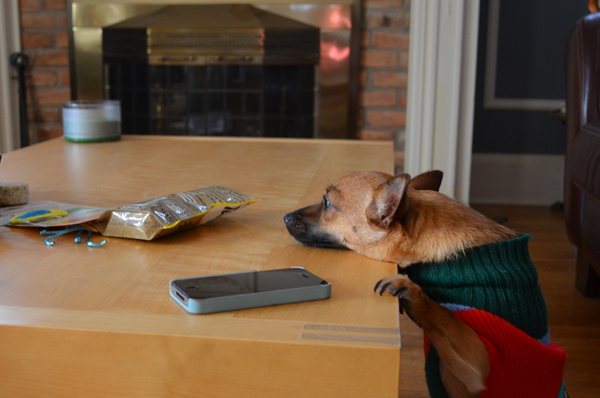 Ziva tried her darndest to get at Stewie's giftie. Strrrrretch.